Home is the heart of everything we do, and everything we are. It is the place where bread is broken, and friends become family. 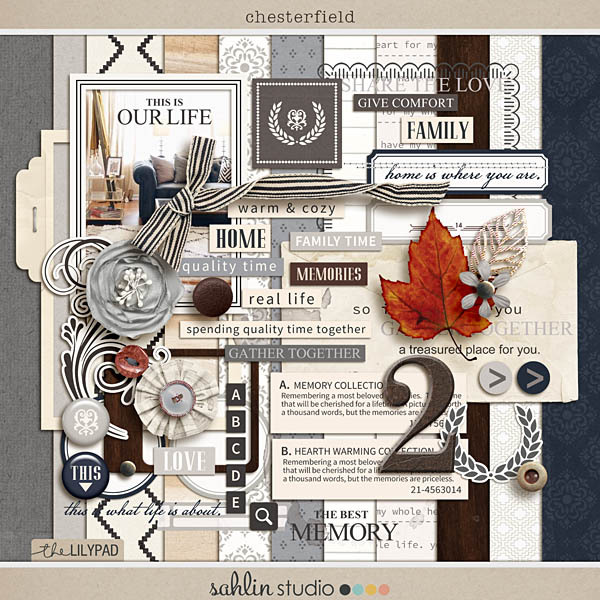 Whether it's time spent snuggling your furbabies on an overstuffed couch, reading a favorite story tucked in bed with a cuddly child, or family meals spent gathered around a shining mahogany table, the rich Chesterfield (Journaling Cards) celebrate the pleasure of gathering in a cozy, well loved home. 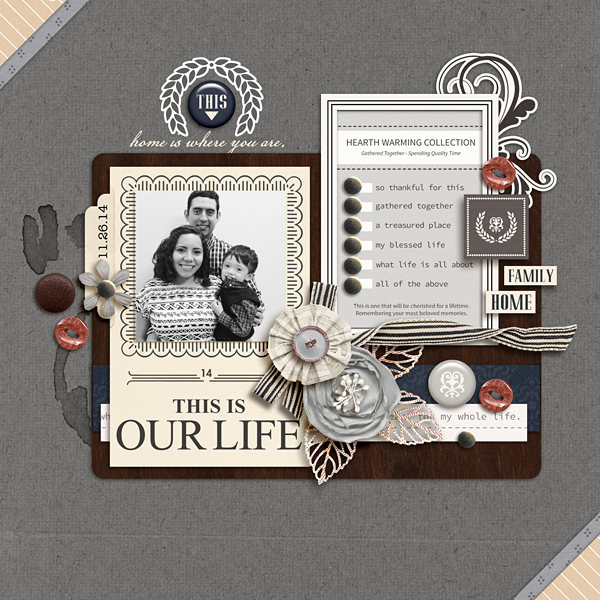 With a gorgeous neutral color palette of warm greys, navys, & eggshell white, combined with simple journaling prompts, and classic patterns, you will find endless uses for this versatile collection. And the best part? 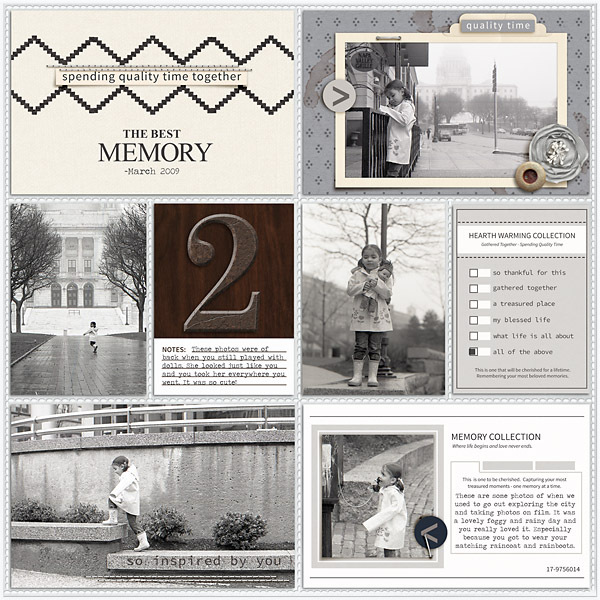 All the cards are sized to fit "Project Life" style page protectors and templates, making them great for all your digital and hybrid creations!